The compound consists of 47 two or three room houses with shingle roofs and original ornamentation. The particular feature of these buildings is the ventilation opening shaped aschalice in the gable of the house. The fundamental feature of homesteads is opened common yards. In the front part of the yard are two or three houses built in row with the corresponding farm buildings. Individual parcels ends by a perpendicularly situated barn. The log houses with saddle roofs covered by shingles stand on stone foundations. Some wooden houses of this unique reserve have been restored in the 20th century. They offer an attractive accommodation to visitors. 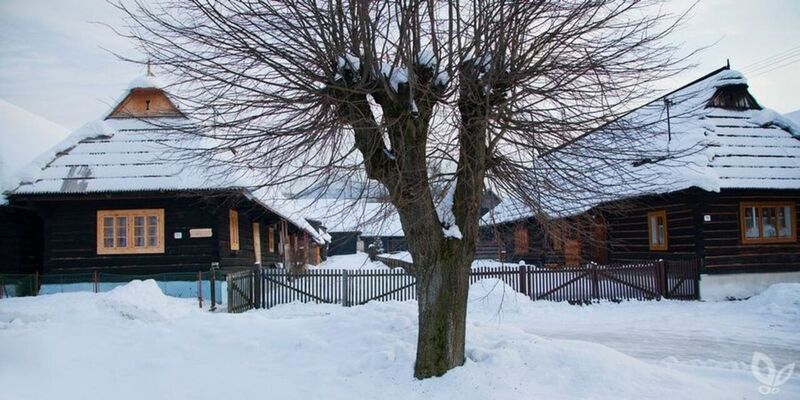 Connected to an ice hockey stadium and shooting range, Hotel Altis is 1 km from the Orava Reservoir and offers a restaurant and a spa with indoor and outdoor swimming pools, a gym, sauna, hot tub, sun bed and massages. Free Wi-Fi is provided in the entire building and there is free private parking. Breakfast can be served every morning to the guests. The restaurant has a terrace and offers Slovak and international cuisine. There is a garden with barbecue facilities on site.